Office Award Achieved in Hindi Partiyogita 2016 organised by Bhasha Dept, Delhi Govt. HR Promotions in IPGCL-PPCL (Board Resolution of Category-A,employees dt15-02-2012. 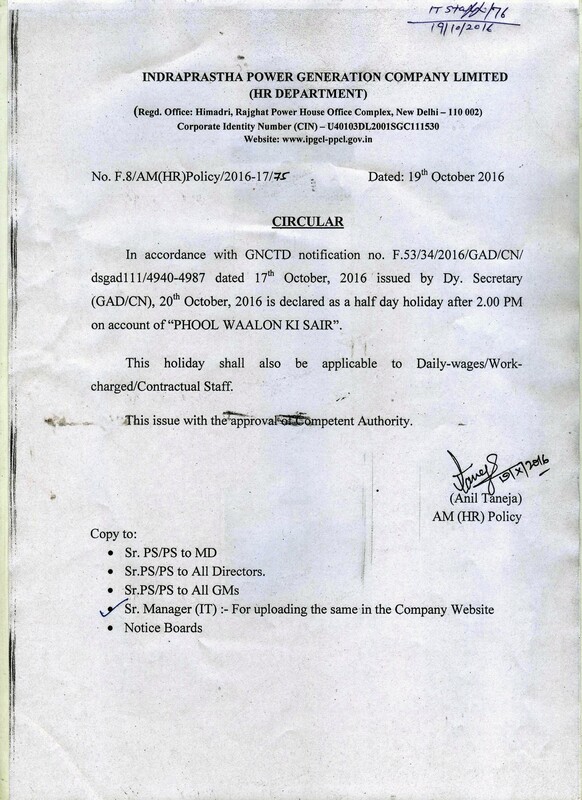 HR Circular No. GM(HR)_2012-13_42 Dated 12.07.2012 DPC for B, C & D cat. 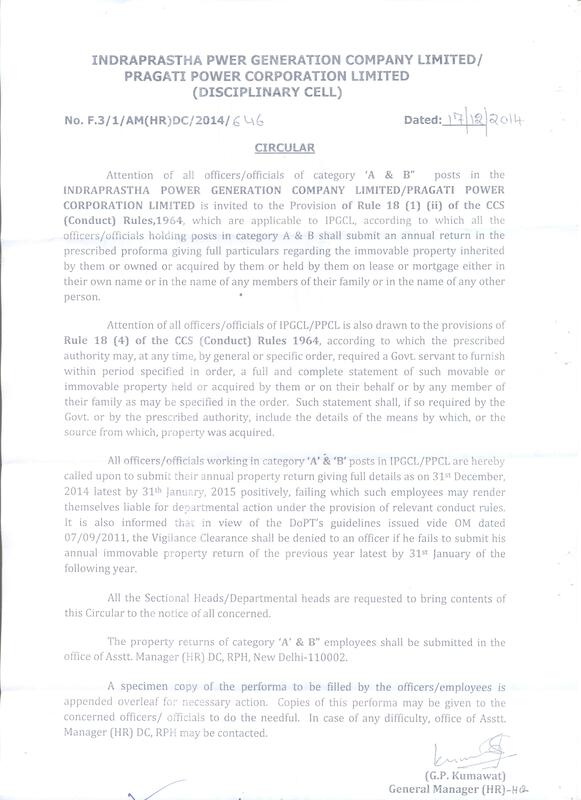 Payment of shift / night duty allowance and special duty allowance to the employees serving in Pragati Power Station -III at Bawana. "R&P Regulation & Power Policy For PPCL "